Our tours conveniently depart from Polo Beach, directly behind the resort. 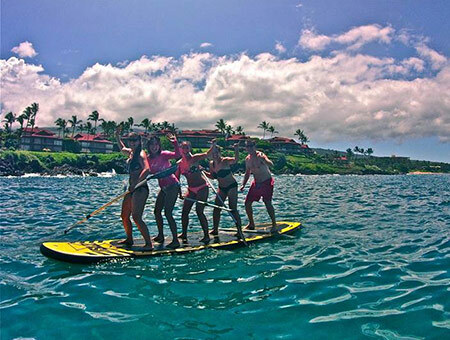 Our knowledgable guides will show you some of the best spots on Maui’s South Shore. We recommend paddlers to be at least 8 years old. 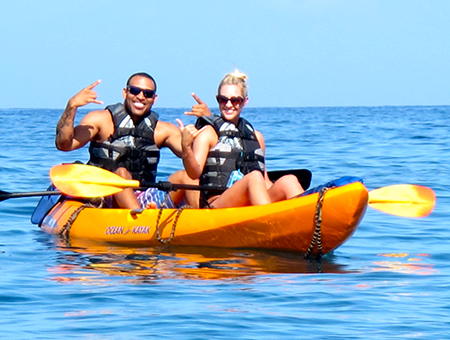 We will take you paddling across the water to some great snorkeling spots. We commonly encounter green sea turtles, rays and a variety of Hawaiian reef fish. Allow two hours. New! The Megalodon has launched! Rent from the beach $100.00/hr. 15 feet long and more than 4 feet wide. This board will accommodate up to seven paddlers for a morning of fun! Everybody is on one. Let us show you why this is the fastest growing water sport. 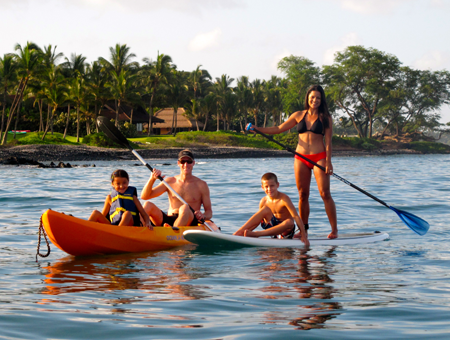 Whether you are after a great workout or just a relaxing paddle, this sport lets you cruise across the water with a vantage point that is unparalleled for views and spotting marine life. Let our guides help you progress with your paddling skills and show you our favorites spots. Allow 1 1/2 hours.